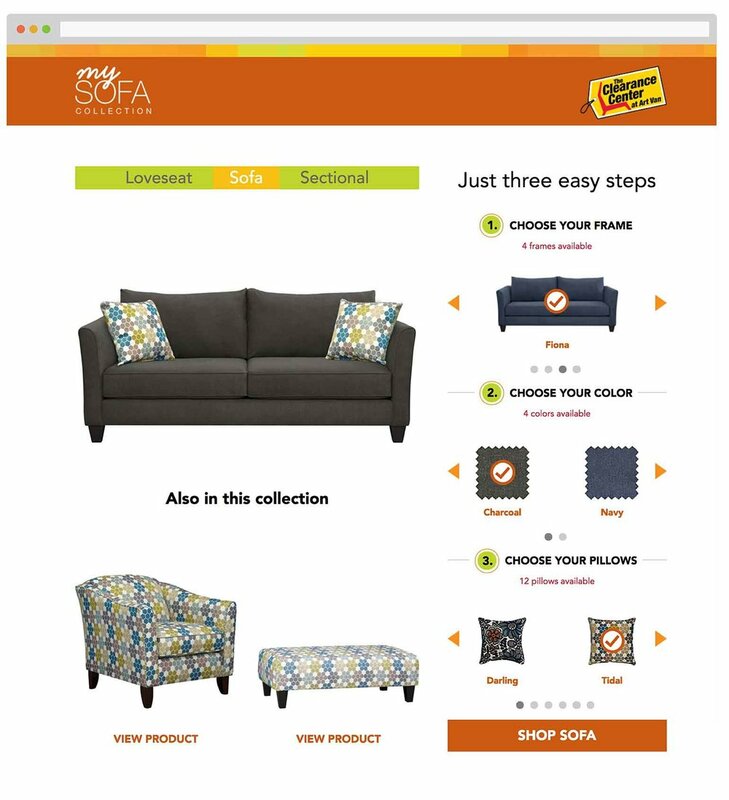 Art Van was looking for a way to organize their custom mySofa collection. The current system listed the hundreds of products in one long result list. This made it difficult for the customer to view each product and understand the customization options.